Zeven onderzoekers van de TU Delft ontvangen dit jaar een ERC Starting Grant van de Europese Onderzoekraad. Maar liefst drie onderzoekers zijn werkzaam binnen 3mE, met trots presenteren wij onze laureaten: Farbod Alijani (Precision and Microsystems Engineering), Jens Kober (Cognitive Robotics) en Sergio Grammatico (DCSC). Micro and nanomechanical systems are being adopted in billions of products that address a wide range of sensor and actuator applications in modern technology. 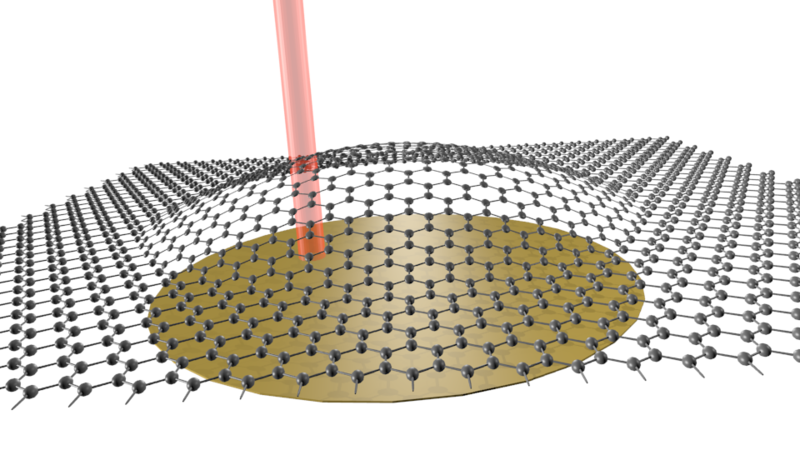 The advent of graphene, and the ability to fabricate single-atom, thick membranes, promises further device downscaling, enabling ultimate sensing capabilities that until recently seemed utopical. But these atomically thin membranes are in essence nonlinear and exhibit nonlinear dynamic behaviour at forces of only a few pN, which needs to be understood to harness their full potential. Although the field of nonlinear dynamics dates back several centuries, its implications at the atomic scale have remained relatively unexplored. Thermal fluctuations due to Brownian motion and nanoscale forces become dominant at this scale, and when combined with graphene’s exotic elasticity, give rise to phenomena that have not been observed before, and cannot be explained by classical approaches. At the same time, our poor understanding of these complex features has made characterisation of graphene very challenging. An example is its bending modulus that is evaluated orders of magnitude higher than theoretical predications, by available experimental methods. In this project, I aim to provide full understanding of the nonlinearities of these one-atom thick membranes, not only to unveil the enigmatic behaviour of graphene but also to improve current nanomaterial characterisation methods. The distinguishing feature of my methodology is that, on the one hand, it will be based on atomistic simulations combined with modal order reduction techniques, to predict the complexities at the single-atom level; on the other hand, experimental nonlinear dynamic data will be analysed for evaluating nonlinear effects and extracting material properties using nonlinear resonances in the MHz range. My methodology will have the potential to serve as the next generation of characterisation techniques for nanomaterial science and nanomechanics communities. COSMOS will develop the theoretical foundations and intelligent control methodologies for the next generation of complex and autonomous systems, with applications in automated driving and power grids. Modern society is based on large-scale, interconnected, complex infrastructures, e.g. power, transportation and communication systems, with network structure and interacting subsystems controlled by autonomous components and human users, generically called “agents”. These systems possess the features of “complex” systems of systems (C-SoS), such as rationality and autonomy of the agents, and require effective multi-agent coordination and control actions for their safe and efficient operation. Multi-agent optimization has attracted an extraordinary amount of research attention as a methodology to let agents cooperatively coordinate their actions, but it is inappropriate and ineffective for systems with noncooperative (selsh) agents, virtually all modern C-SoS. A paradigm shift is necessary to ensure safe and ecient operation of complex systems with possibly noncooperative agents. With this aim, COSMOS shall embrace dynamic game theory and pursue a twofold scientic and technical objective: 1) to conceive a unifying framework for the analysis and control of complex, multi-agent, mixed cooperative and noncooperative, systems; 2) to provide automated computational methods for solving coordination, decision and control problems in C-SoS. To achieve these goals, COSMOS will adopt a novel operator-theoretic approach, and integrate methods within and across dynamic game theory, networked multi-agent systems and control, statistical learning, stochastic and mixed integer optimization. The expected project outcomes are a mathematical theory, algorithms and automated software that can ensure safe and efficient operation of C-SoS populated by mixed cooperative and noncooperative agents, in the presence of network coupling, adversarial and stochastic uncertainty, discrete and continuous decision variables. COSMOS shall develop the potential of dynamic game theory and raise it to a whole new level where it can have a high impact on fundamental sciences and engineering. Programming and re-programming robots is extremely time-consuming and expensive, which presents a major bottleneck for new industrial, agricultural, care, and household robot applications. My goal is to realise a scientific breakthrough in enabling robots to learn how to perform manipulation tasks from few human demonstrations, based on novel interactive machine learning techniques. Current robot learning approaches focus either on imitation learning (mimicking the teacher’s movement) or on reinforcement learning (self-improvement by trial and error). Learning even moderately complex tasks in this way still requires an infeasible number of iterations or task-specific prior knowledge that needs to be programmed in the robot. To render robot learning fast, effective and efficient, I propose to incorporate intermittent robot-teacher interaction, which so far has been largely ignored in robot learning although it is a prominent feature in human learning. This project will deliver a completely new and better approach: robot learning will no longer rely on initial demonstrations only, but it will effectively use additional user feedback to continuously optimise task performance. It will enable the user to directly perceive and correct undesirable behaviour and to quickly guide the robot toward the target behaviour. In my previous research I have made ground-breaking contributions to the existing learning paradigms and I am therefore ideally prepared to tackle the threefold challenge of this project: developing theoretically sound techniques which are at the same time intuitive for the user and efficient for real-world applications. The novel framework will be validated with generic real-world robotic force-interaction tasks related to handling and (dis)assembly. The potential of the newly developed teaching framework will be demonstrated with challenging bi-manual tasks and a final study evaluating how well novice human operators can teach novel tasks to a robot. De ERC Starting Grants worden toegekend aan de beste en meest creatieve wetenschappers uit alle mogelijke onderzoekdomeinen binnen heel Europa en zijn voornamelijk gericht op onderzoekers met 2 tot 7 jaar ervaring in een postdoctoraat. De beurs bedraagt 1,5 miljoen euro voor een programma van vijf jaar. Klik hier voor de lijst met alle geselecteerde onderzoekers.